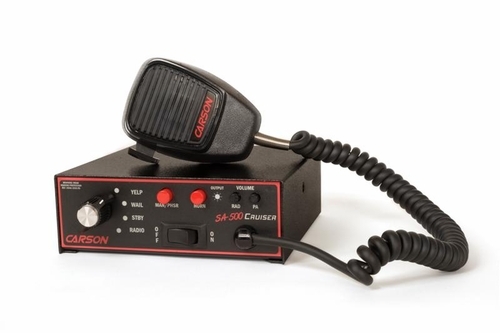 The SA-500 Cruiser Siren from Carson Sirens is a 200 watt capable siren that is rugged and reliable just like all Carson Sirens. 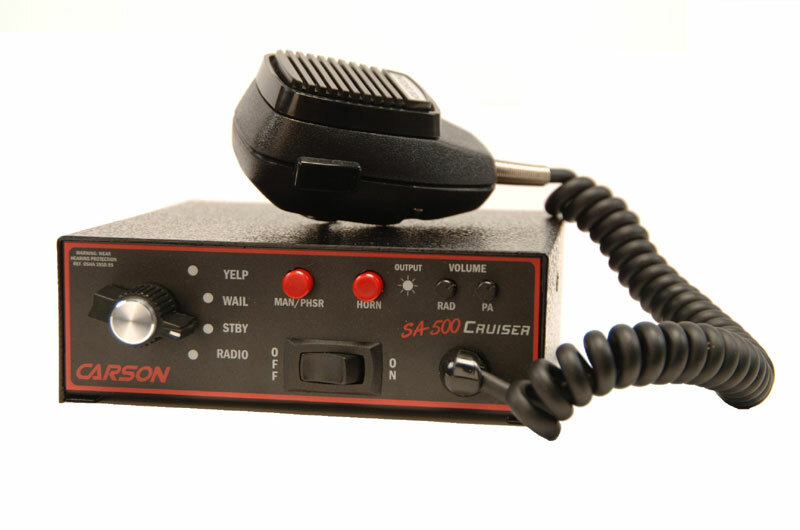 The SA-500 was designed for a smaller foot print that other standard console sirens and is only 2 inches tall, it can easily fit into a police or ambulance console or even a dash and still use much less space that allows you to install other equipment like a switch box. The SA-500 includes a lot of features. You don't have to use all of them. That is why you can program the police / fire siren to your needs easily by using the internal DIP switches. 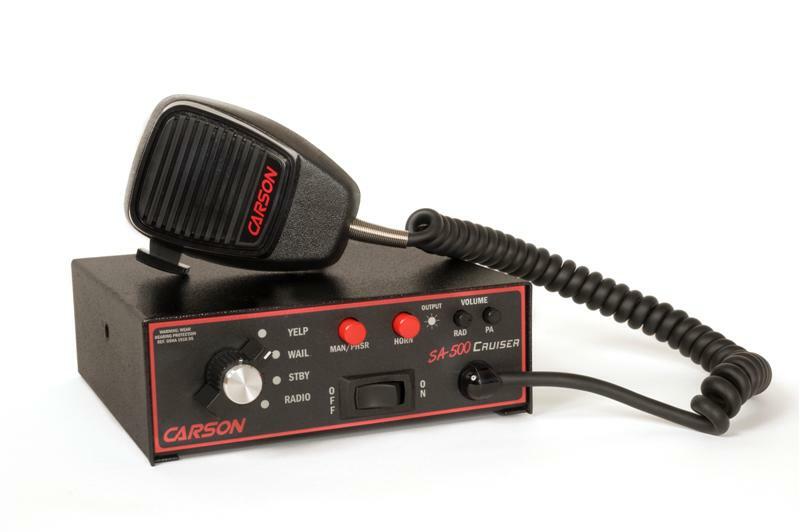 Dip switches are a simple way that you can turn certain features of the SA-500 Carson Police Fire Siren on or off. Many sirens are only 100 watts. This is the standard. However, with the SA-500 Cruiser siren, it is 200 watts. 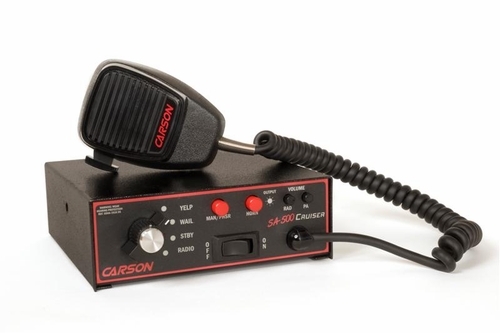 You can power 2 siren speakers with the siren. It does not have dual tone capability so both speakers will be sounding the same thing, but with 200 watts, it will be louder and give you more warning power! Well worth the cost. Has the professional sound of the high dollar units and has just the right amount of features for a POV on a budget. I would have preferred to have a detachable mic, but understand that's something that's not found in this price range. Great for the price thank you guy's keep up the good work. I got this for my RZR 900 XP 4 and it is awesome! It is built solid and will last on the long hauls! !